A sleek and simple look makes the Alex Dining Chair an excellent choice of any modern dining room. 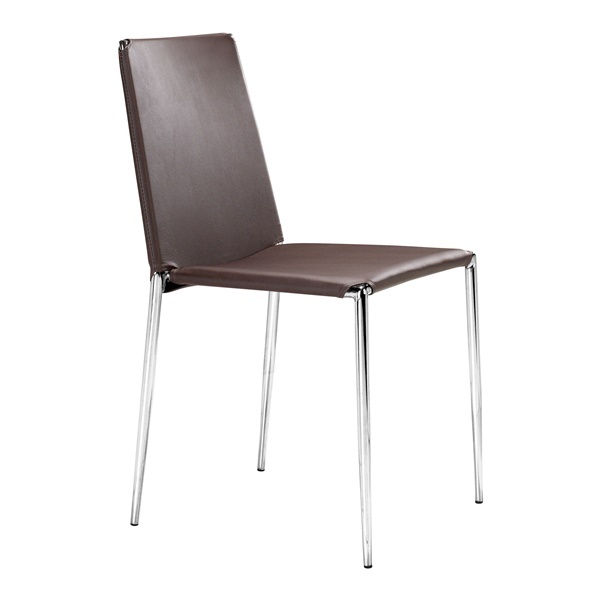 This modern chair features a leatherette seat and back complemented by chrome steel tube legs. The Alex Chair works perfectly paired with a dining table, and equally well as additional seating . Yes, The Alex Dining Chair can conveniently be stacked.